Pregnancy Leave in the State of Texas, What are Your Rights? Women in the American workforce are granted a number of rights when (and if) they decide to bare children. These federal regulations protect women from worker discrimination—on the basis of their pregnancy, of course—and offer a certain amount of unpaid leave. In some instances, federal laws are expanded by state-mandates as well as company-specific policies. In-fact, around 14 different state legislators offer women supplementary rights when pregnant at work (for instance, Rhode Island requires paid leave for most public and state employees, and California grants women an extra month of leave time). Unfortunately, Texan women aren’t given these types of special provisions. Texas, along with the majority of U.S. states, only requires employers to adhere to the federal protections detailed in the Pregnancy Discrimination Act (PDA) and the Family Medical Leave Act (FMLA). Respectively, these two key pieces of legislation 1) protect child-bearing women from discrimination based on their pregnancy or post-pregnancy medical conditions, and 2) grant women a certain amount of pregnancy leave—12 weeks to be exact—to be used before, during, and/or after the birth of their child. Importantly, the PDA and the FMLA are non-voluntary federal regulations imposed on most private and public employers. In other words, adherence to these laws is mandatory, and deviation from the rules therein is against the law. If you believe your pregnancy-related protections have been compromised, you can take legal action against your employer to recover wages and other losses. The first step is to understand your rights as a woman in the U.S. workforce. Not long ago, becoming pregnant meant losing your job; women essentially had to choose between a career and child-baring, as doing both wasn’t feasible. The goal of the PDA is to assure women that child-baring will not adversely affect their employment aspirations. So long as the employer staffs 15 workers or more, the company is responsible for adhering to the discrimination rules outlined in the PDA. Deviation can lead to a law suit brought against the company. Through the provisions of the PDA, women that belong to one of the above categories cannot be mistreated, demoted, unfairly intimated, fired, or forced to take leave because of their pregnancy-related circumstances. Furthermore, the employer cannot replace you because they believe that the job is posing a risk to you or your pregnancy. 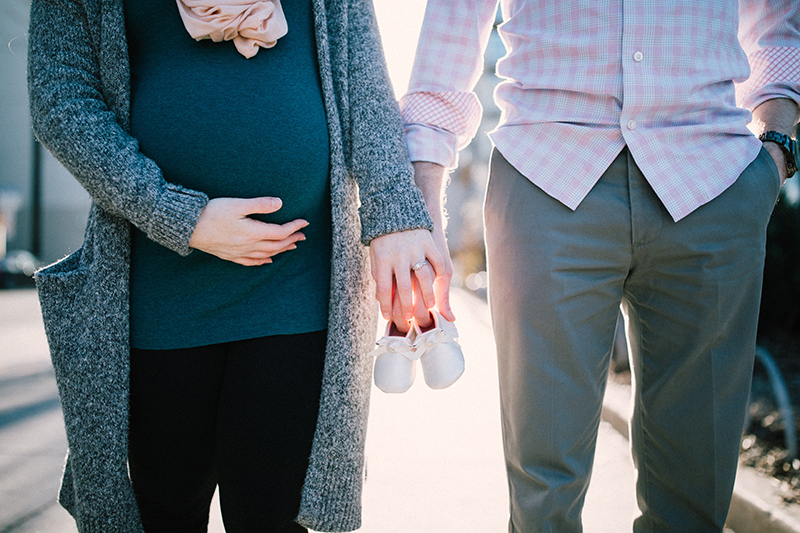 Additionally, the PDA requires that if employers offer any type of short-term leave benefits (such as for illnesses or family emergencies), those short-term benefits must be offered to pregnant woman also. When it comes to leave however, the majority of the laws in Texas are federally-mandated in the Family Medical Leave Act (FMLA). Most employers in Texas must abide to the leave laws outlined in the federally-mandated FMLA. The FMLA covers all workers that are employed at a worksite with 50 (or more) employees within a 75-mile radius. This will typically exclude independent contractors, as well as those that work at smaller, remote satellite offices. Furthermore, not every employee is eligible for FMLA benefits. For FMLA regulations to apply to you, two criteria must be met: 1. You must work for your employer for at least one year (as of the date when your leave will start). This time doesn’t necessarily need to be consecutive, but 12 months must be logged at a single workplace before FMLA eligibility. 2. For the required one year of employment, you must have logged at least 1,250 hours in total. Any child-bearing Texas worker that meets these two criteria will be eligible for the benefits detailed in the FMLA, including twelve weeks of unpaid job-protected time off and the retention of their job and any employer-provided health benefits. Benefit recipients must finish taking their FMLA leave within one year after the birth date of their newborn child, and the time-off must be taken in one contiguous block (unless the employer gives permission to take leave incrementally). Other types of leave let employees take time off in bits and pieces; however, FMLA pregnancy leave does not allow for this, and arrangements must be made on a company-by-company basis. Importantly, when FMLA leave ends, you are entitled to be reinstated to the same position (or an equivalent role). As a child-bearing woman in the American workforce, it’s crucial that you understand the federal, state, and company-specific rights for pregnant workers. In Texas, there are few state-mandated entitlements, thus the focus should be on federal regulations (such as the PDA and the FMLA) and company-specific policies. Some employers intently misinform—or sometimes “forget” to notify—workers about the amount of federal leave they are eligible for. Other times, companies explicitly release women based on their planned pregnancy, an after-affect medical condition, or even because of an abortion. Employers cannot legally do this. On the basis of your pregnancy, employers are not allowed to minimize your leave, pressure you to return early, demote or release you, or threaten you with decreased duties/pay. These rules are certainly not optional; they are mandatory and, when violated, legal action should be taken to recover what’s rightfully owed to the claimant. When you first find out you are expecting, there are a million details to be excited and nervous about. Pregnancy takes a toll on the body and even a comparatively "easy" and uncomplicated pregnancy creates new physical challenges and restrictions. Being the victim of sexual harassment in the workplace can put an individual in a very uncomfortable position.